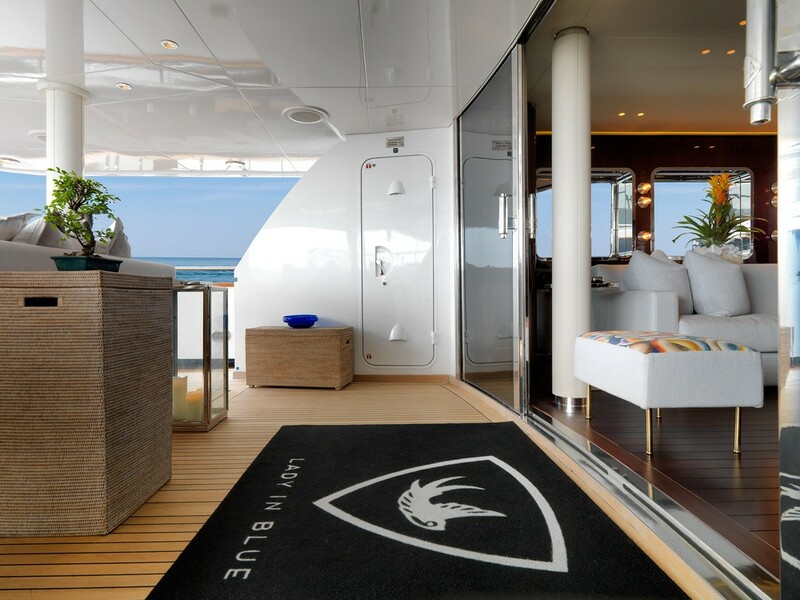 Luxury yacht LADY IN BLUE (ex SUD) was built in 1999 by Rossi Navi shipyard of Italy and features naval architecture by Alessandro Cusumano. 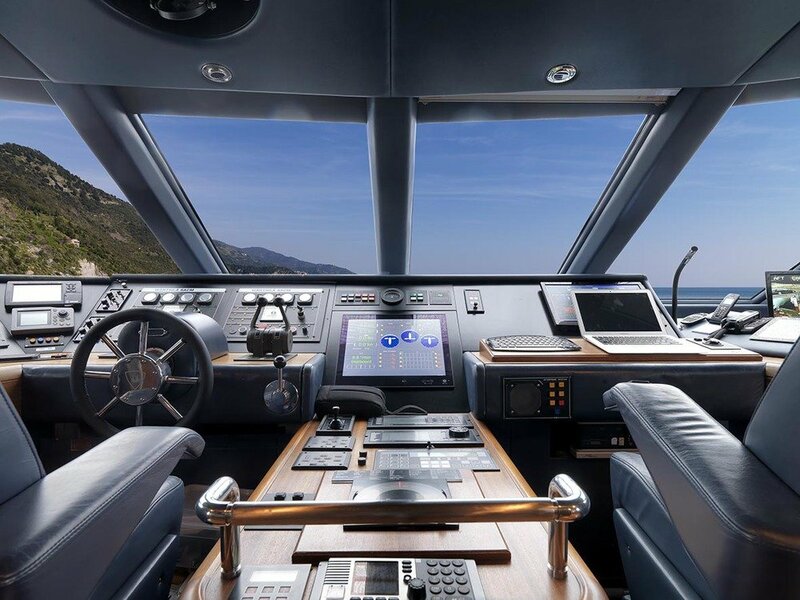 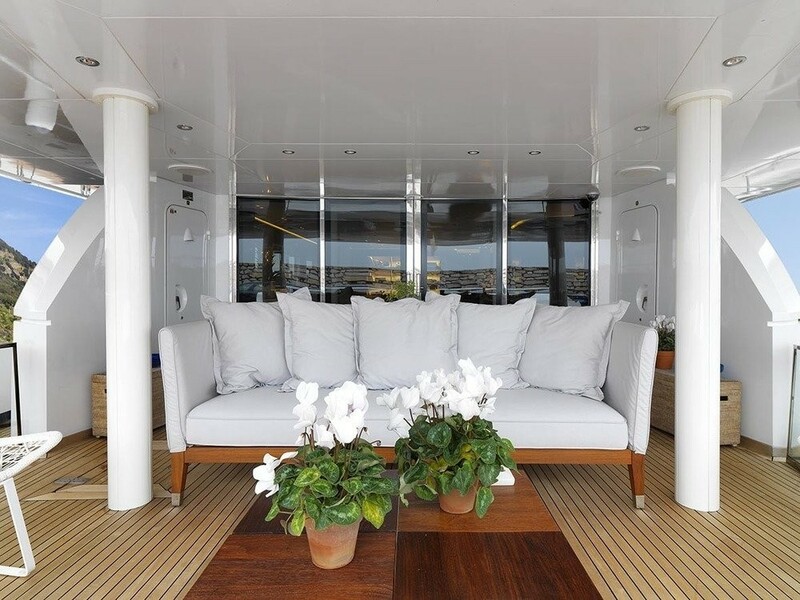 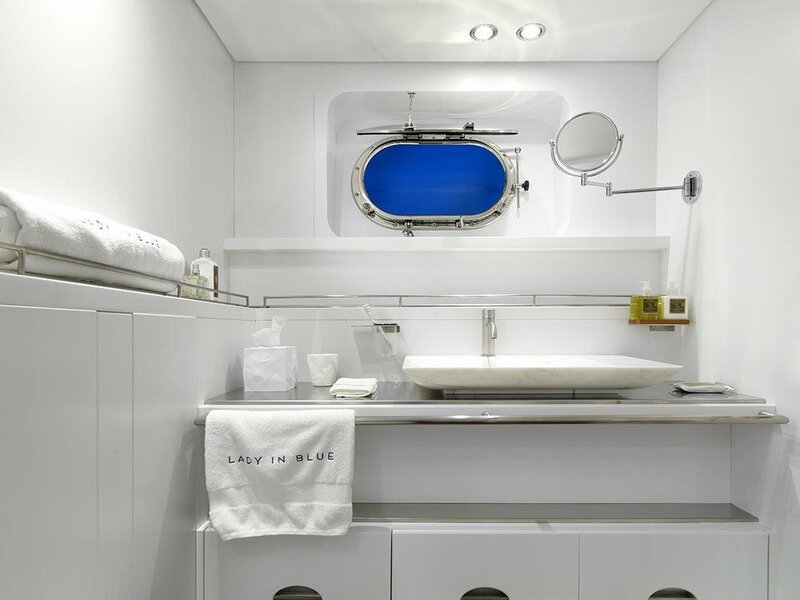 In 2013/2015, crewed charter yacht LADY IN BLUE received an extensive refit, to include an extension of her stern area, upper deck and creation of an additional forward sundeck. 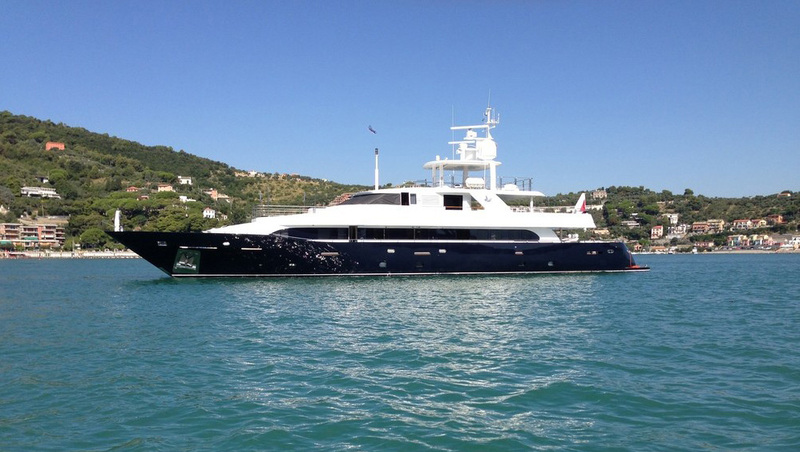 M/Y LADY IN BLUE measures 41m (134.6ft) in length and can accommodate up to 10 guests. 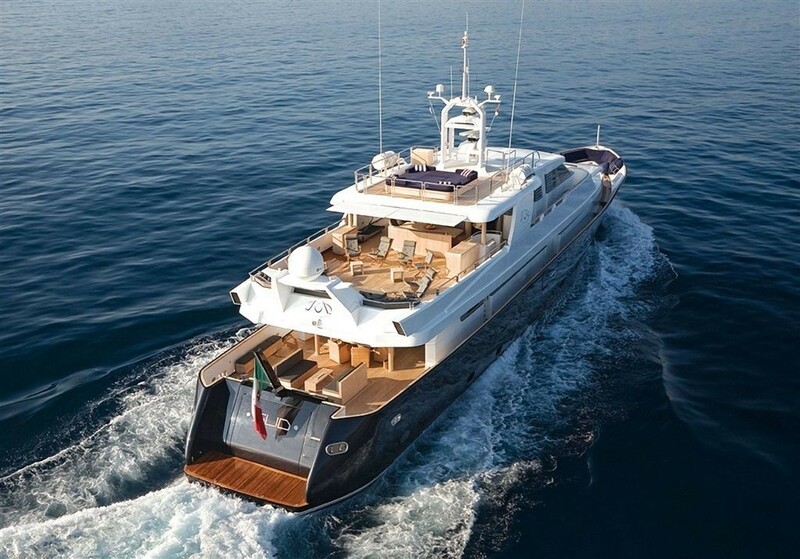 The yacht is available for deluxe charters in the West Mediterranean. 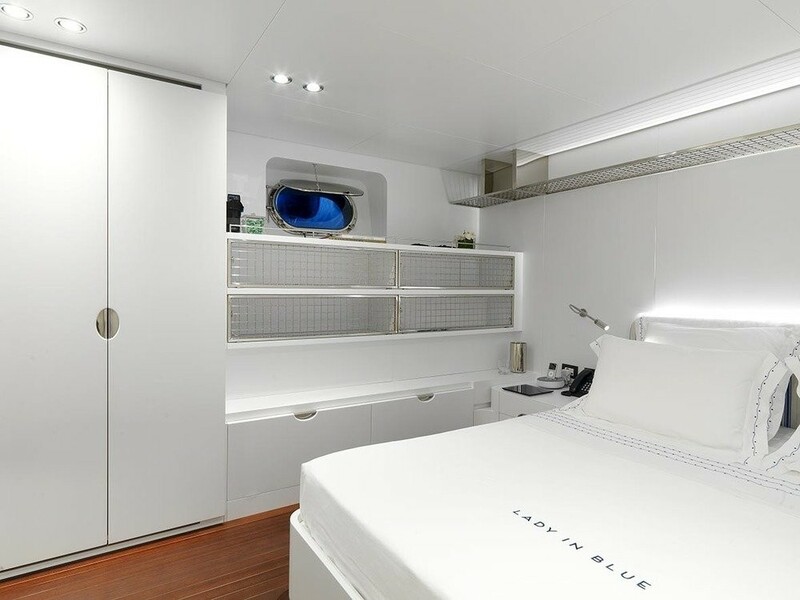 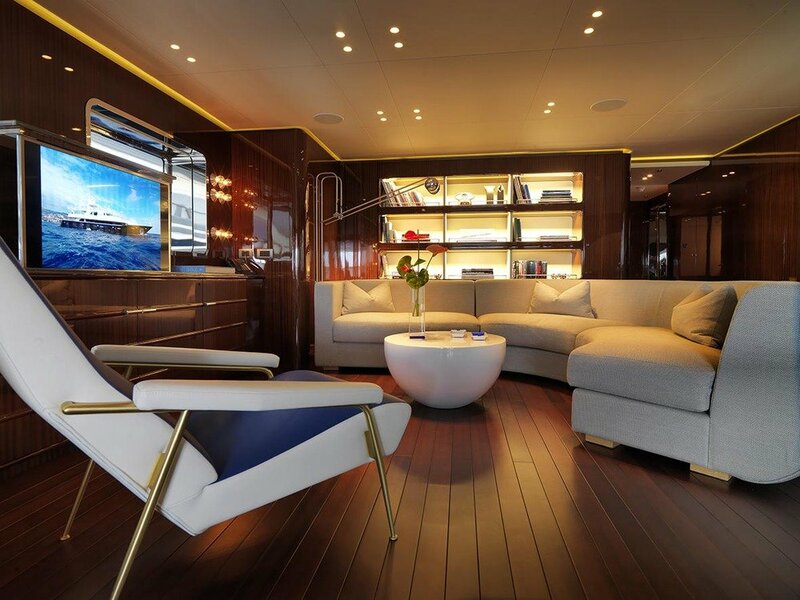 Motor yacht LADY IN BLUE has interior and exterior design by Studio Faggioni Yacht Design. 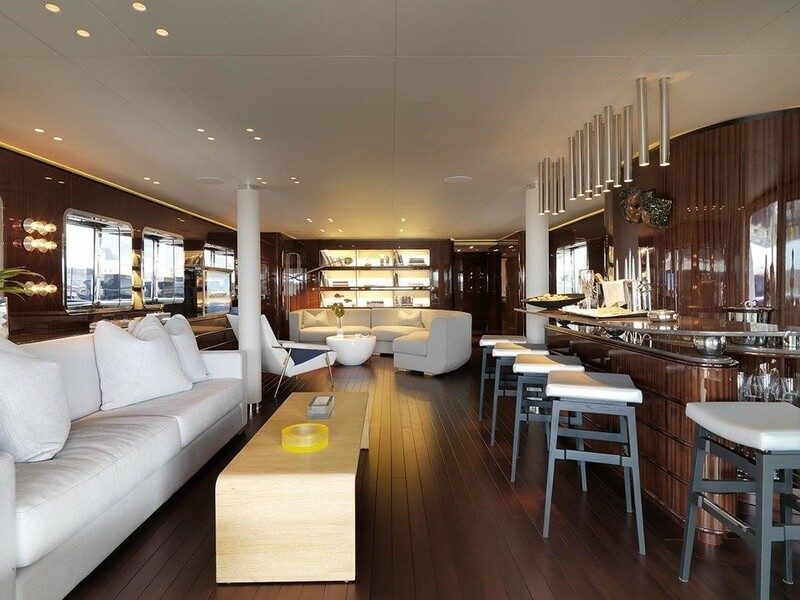 The interior décor is minimalistic and bold. Rich tones of fine joinery, wood floors, stainless steel fittings and crisp white furnishings, bring a certain element of sophistication. 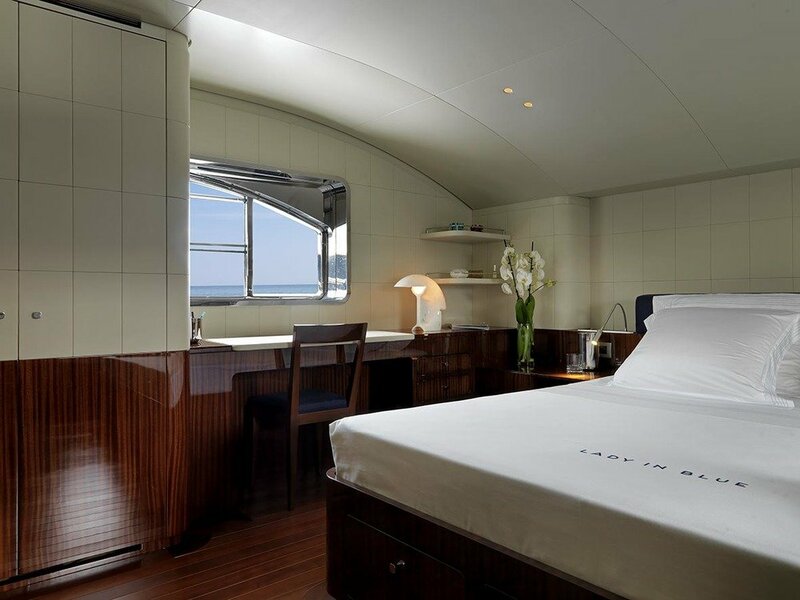 Forward on the main deck is the master stateroom, with king size bed and large en-suite facility, while below decks are 2 double and 2 twin cabins, each with en-suite facilities. 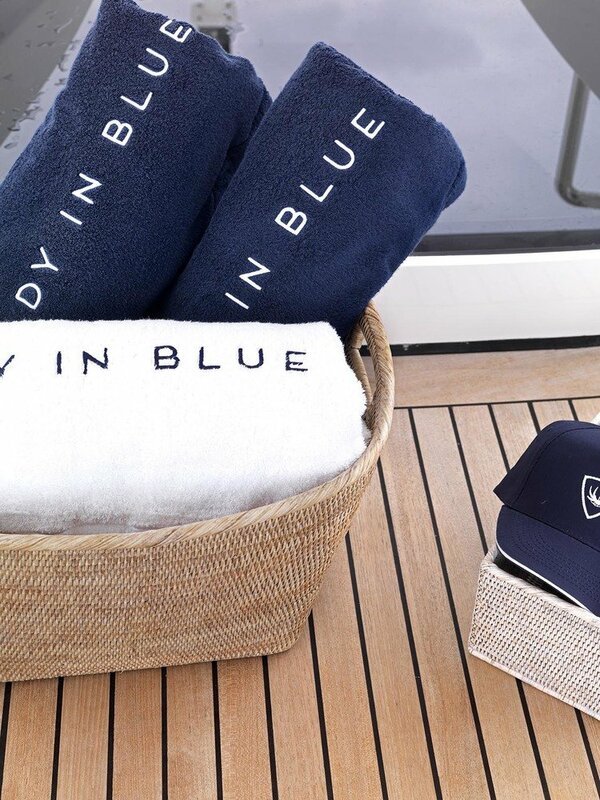 The yacht LADY IN BLUE offers ample exterior living in 3 teak decks. 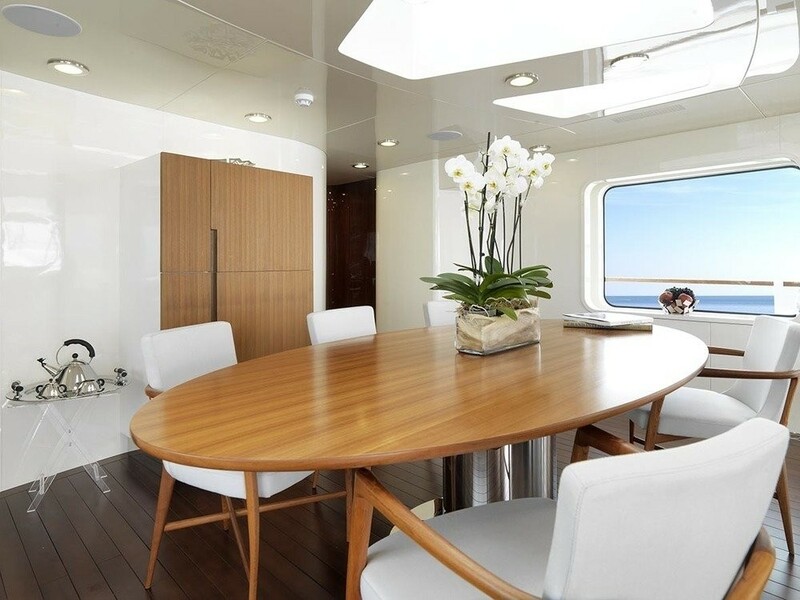 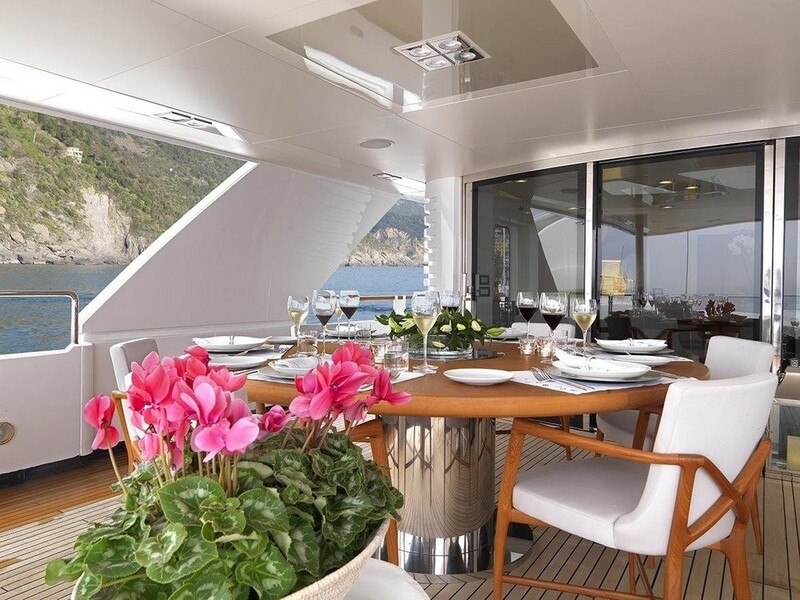 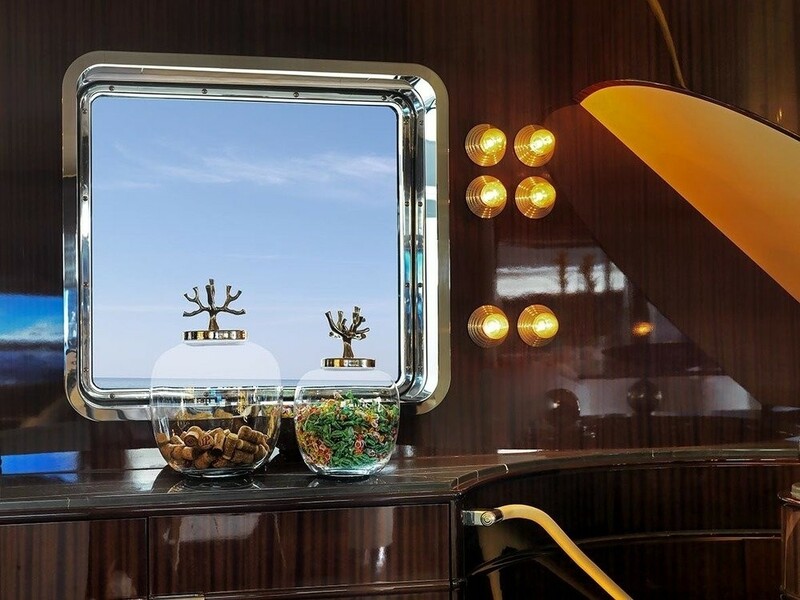 The aft deck is adjacent to the main salon and features wide sliding glass doors, an alfresco dining option, wet bar and plenty of seating, making this the perfect spot to entertain. 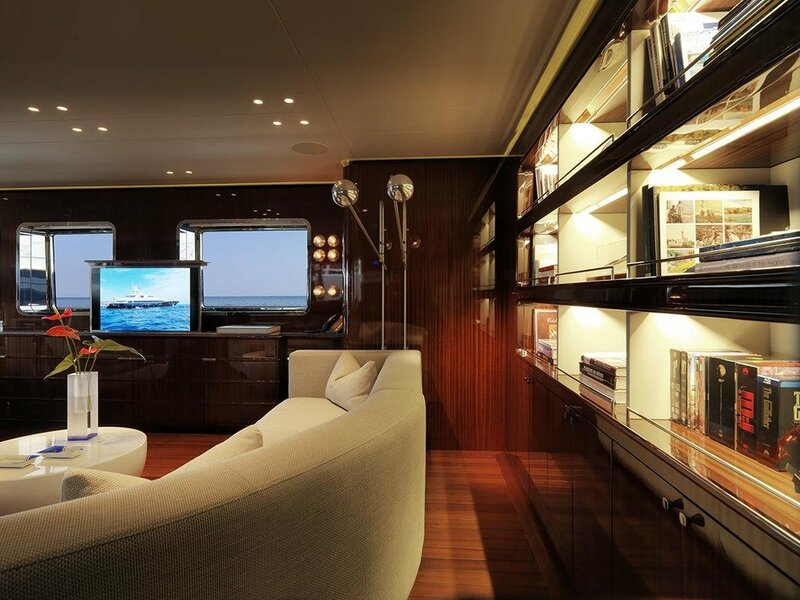 Above, a sky lounge and library lead out onto a generous upper deck, complete with exterior lounge seating and a full beam aft sunpad. 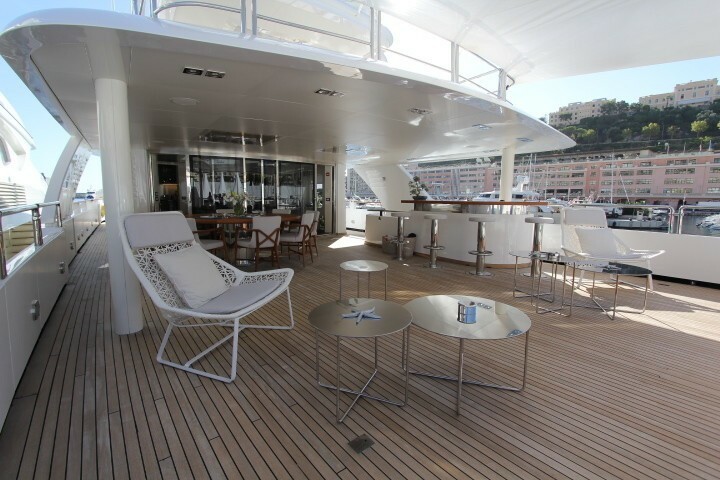 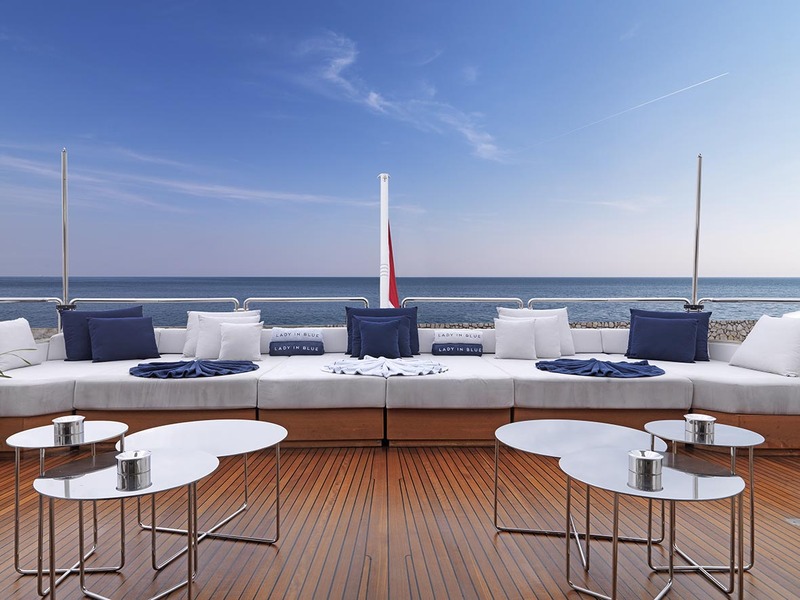 The top deck is ideal for the sun worshipers, offering a double sunpad and spectacular views. 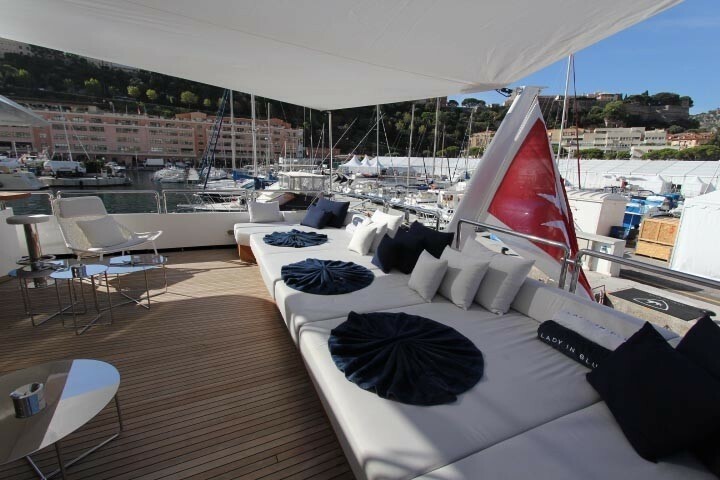 Further sunning and relaxing is available on the bow and recent addition of the double forward sundeck, with optional shade. 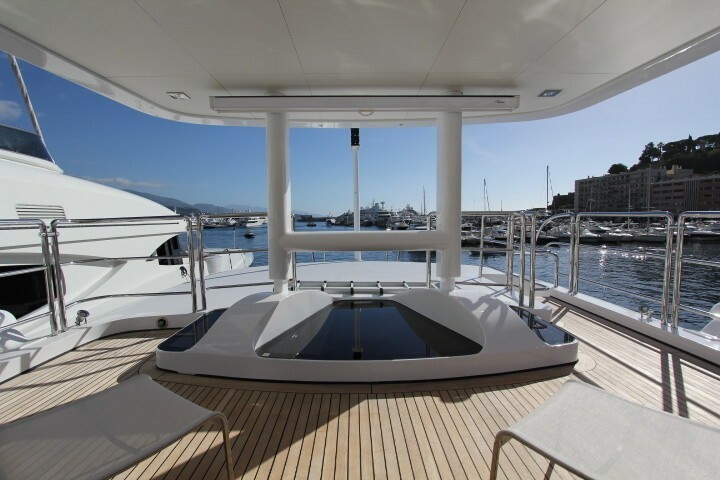 Thanks to the 2013 extension on the transom, the swim platform provides guests with effortless water access. 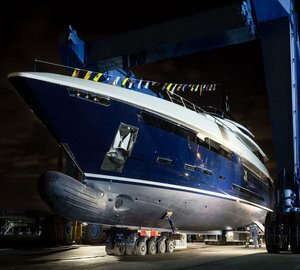 Charter yacht LADY IN BLUE is fitted with stabilizers. 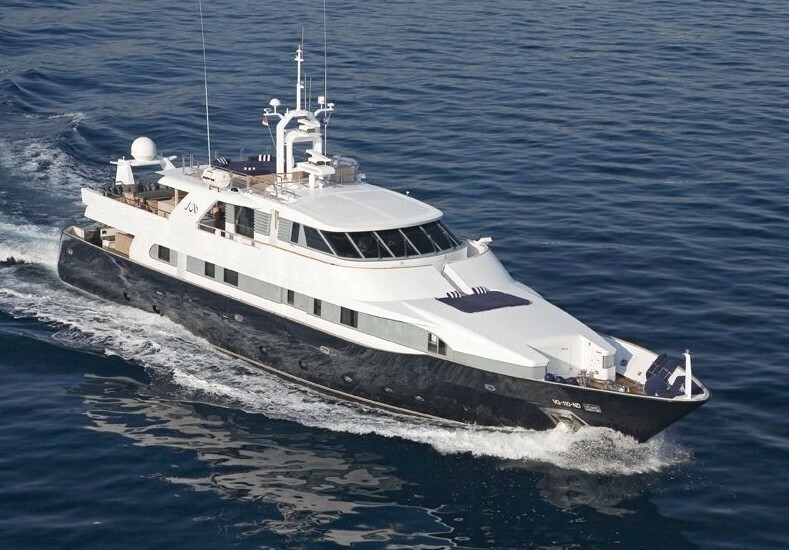 She is powered by 2 Cummins Wartsila SA diesel engines and cruises comfortably at 12 knots. 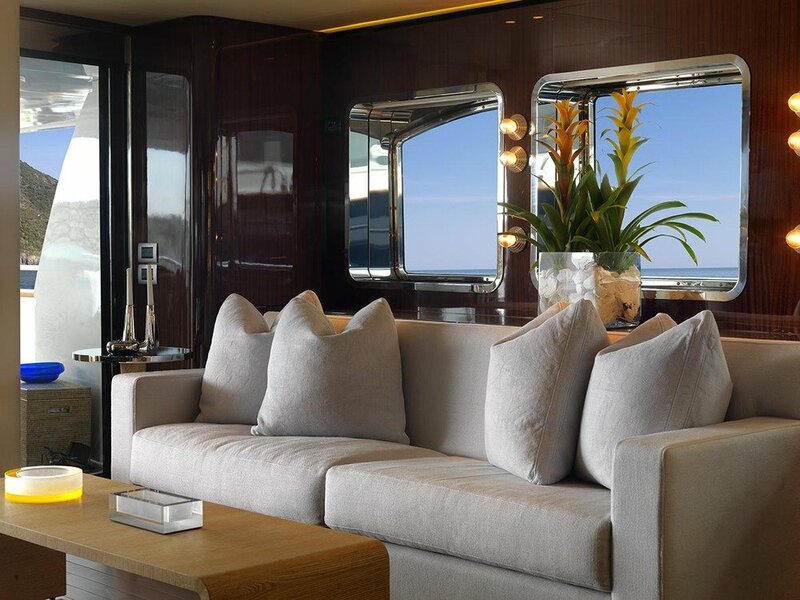 The LADY IN BLUE motor yacht offers accommodation for up to 10 charter guests in 5 cabins. 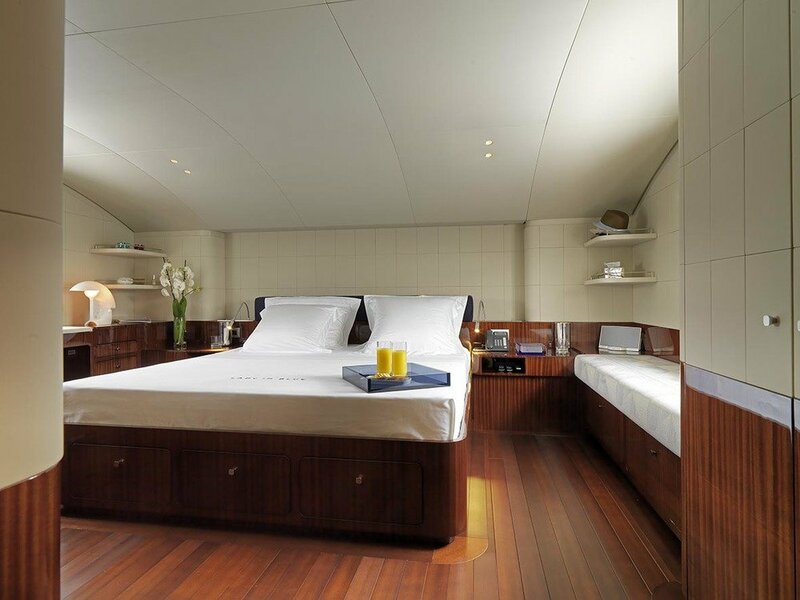 The master cabin is on the main deck forward, with a king size bed and large en-suite with shower. 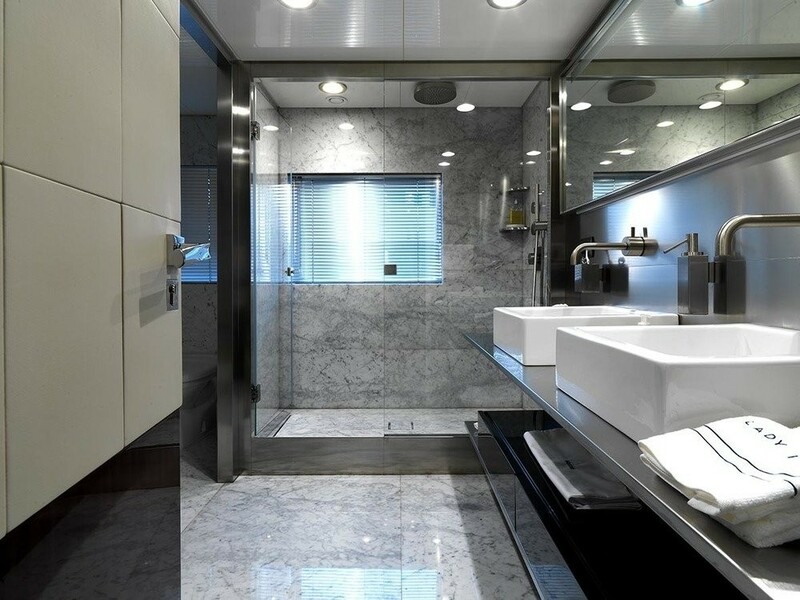 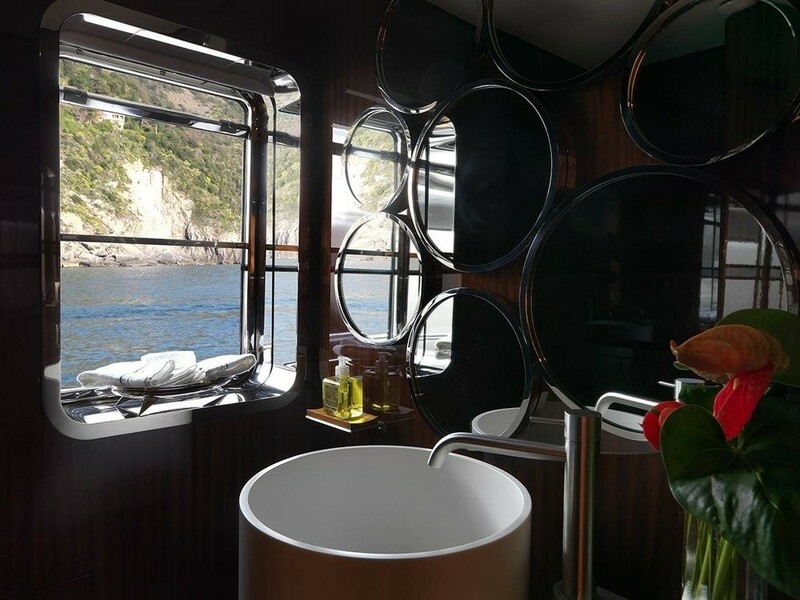 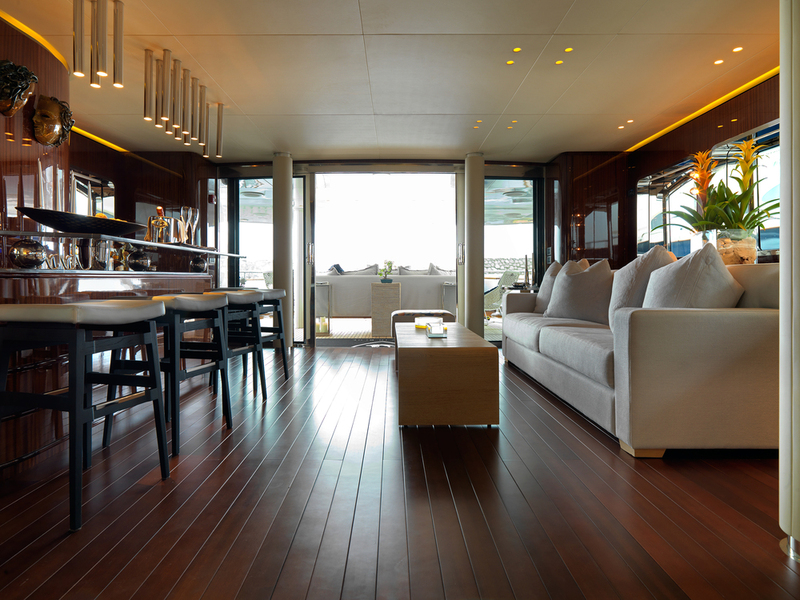 Below decks are 2 double cabins and 2 twin cabins, with en-suite facilities.